Partner Philip Bonamo was recently awarded, for a third year in a row, The Client Distinction Award for 2015 from Martindale-Hubbell. 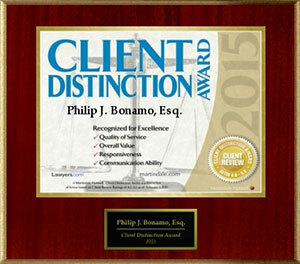 Mr. Bonamo was selected for this award as a result, once again, of his high client review rating, through Martindale.com and Lawyers. com, in the categories of communication ability, responsiveness, quality of service, and overall value. 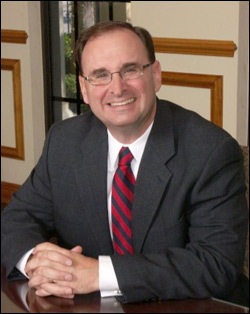 Based on his high rating score, Mr. Bonamo is part of only less than 1% of the 900,000+ attorneys listed on Martindale.com and lawyers.com that have been accorded this honor of distinction.